Back in the 1950’s up until the 1980’s, Friday night was THE night for television. ABC aired shows like “The Brady Bunch”, “The Flintstones”, and “Leave It To Beaver”, all which are now considered classics in their own right. Then, the 80’s came. All networks had trouble getting shows to pull in a large amount of viewers on a night that had become synonymous with social activity and being outside the house. ABC needed something to make them stand out. So, in the late 80’s, the ABC team (specifically Jim Janicek) created a family friendly comedy block on Friday nights. Usually consisting of 4 half-hour sitcoms, these shows encouraged families to sit around the TV and relax after a long work/school week. 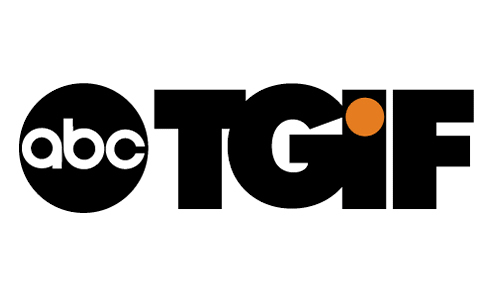 During the 1989-1990 season, they started officially branding it as TGIF. This week two of my favorite current obsessions come together. ABC’s Modern Family, the funniest show on TV, and the original Disneyland come together in a special episode. 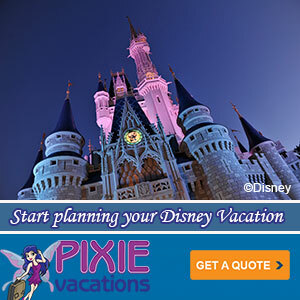 Nothing is more quintessential to good ol’ family fun than a trip to Disneyland – but when the Pritchett-Dunphy-Tucker clan hits the park it can’t happen without a side of motion sickness, achy feet and a wayward toddler! Sound Familiar? Phil tries to keep up with Luke, Claire’s shocked when they run into Dylan, Jay and Gloria disagree about what are sensible shoes for the day, and Mitch and Cam must contain Lily’s new affinity for running. I was able to watch a bit more of the episode in preview and trust me, they don’t pull many punches. This “Modern Family,” episode airs Wed May 9 (9:00-9:31 p.m. ET/PT), on the ABC Television Network. So we might not have gotten a Halloween episode from the Pritchetts and Dunphy’s this year, but we were treated to a great Thanksgiving episode this week. Phil and Claire are reunited with Kenneth (guest star Josh Gad), their former neighbor who looks up to Phil. He dropped out of college to start a company with a friend of his, that turned out to be very profitable. His secret to success? He always asks himself “what would Phil Dunphy do?” Luke asks his dad, if Kenneth became a “kajillionaire” by asking WWPD, why aren’t the Dunphy’s rich? Why isn’t Phil doing what Phil would do? This causes Phil to realize that Claire is holding back his dreams. At the park, Cam and Mitch are chatting with a couple when Cam starts a story about “chunkin punkins.” He tells the dragged-out story with drama and flair, and it doesn’t result in the reaction he wanted. Mitch tells Cam he should “stick to stories that actually happened” which sets off an argument over whether Cam actually slingshotted a pumpkin across an entire football field that landed in the sunroof of a car. Manny has created a centerpiece for Thanksgiving, which Gloria says she loves. Jay, on the other hand, wants to tell Manny that it isn’t his best work. The two of them argue over what is better for him, to be built up, or to be given realistic advice. As you can see, all three families have a story about some members “crushing the dreams” of the others. When the families get together for Thanksgiving, they separate themselves into the “dreamers and the Pritchetts.” To settle the debate, everyone goes to a football field to see if Cam can actually “chunk the punkin.” After the first try is unsuccessful, the Pritchetts feel bad that it didn’t work. They don’t want to be viewed as the dream crushers. The second time works better, and the third one soars all the way across the field.